President Trump's wife and 10-year-old son will be moving to the White House in June despite reports to the contrary, according to TMZ. The website has quoted unnamed sources as saying that Melania and Barron are "absolutely moving after the school year." The insiders also indicated that his new school in Washington, D.C. has already been chosen and that her White House residential quarters are being repainted. US Weekly had published a story on February 1, titled, "First Lady Melania Trump May Stay in NYC Permanently and Never Move Into the White House." 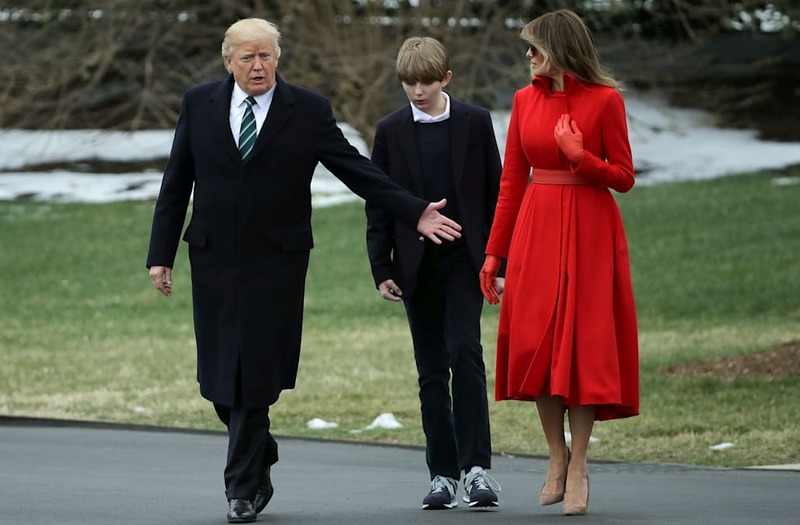 In the piece, someone close to the family reportedly said, "They will reevaluate toward the end of the school year if they will keep this arrangement or if Melania and Barron will move to Washington. They could go either way right now. They will ultimately do what's best for Barron." However, that account was discounted as false by Stephanie Winston Wolkoff, an adviser to the first lady, who along with the president, maintained that Melania and Barron would move to D.C. once his current school year is finished.